Newly published research by a Dickinson College chemistry professor is advancing what we know about the power of fruit and vegetable peels to remove pollutants, such as dyes and heavy metals, from water. 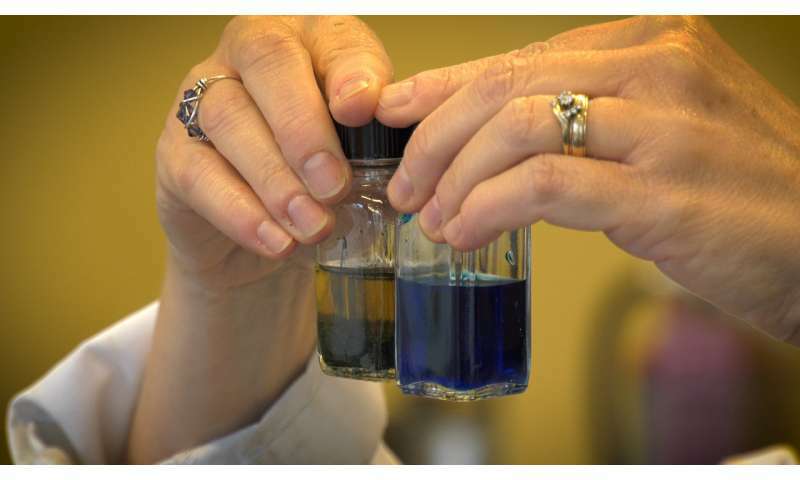 Cindy Samet, professor of chemistry, and her students performed water purification experiments using peels and seeds from more than a dozen varieties of foods—from pumpkin and okra to lemon and banana—and found they removed methylene blue, lead and copper through the process of adsorption, a chemical bonding of the pollutant molecules to the surface of the peels. The study, "Fruit and Vegetable Peels as Efficient Renewable Adsorbents for Removal of Pollutants from Water: A Research Experience for General Chemistry Students," was published in the Journal of Chemical Education. In 2015, Suresh Valiyaveettil, Samet's coauthor and a professor at the National University of Singapore, published the original research on which Samet based her course. His study analyzed the ability of avocado, hamimelon and dragon fruit peels to remove pollutants from water. In this video, Samet demonstrates how dried avocado peel can adsorb large amounts of methylene blue onto its surface in a matter of hours. Samet followed Valiyaveettil's protocol for cleaning the surface of the fruit by first boiling the peels/seeds to remove soluble surface impurities. The peels were then dried and crushed before being placed in a solution containing pollutants. Among the findings, lemon seeds removed 100 percent of lead ions, while the peels removed 96.4 percent. Okra peels also removed 100 percent of lead ions, while the seeds removed 50 percent. "The results expand on what we know about fruit and vegetable peels as an organic, renewable, low-cost method of removing pollutants from water," said Samet. "We replicated the results from Suresh's lab with avocado and then studied never-before-tested fruits and vegetable peels and seeds. This is exciting because it is likely that this method of purification can make its way from lab to kitchen." 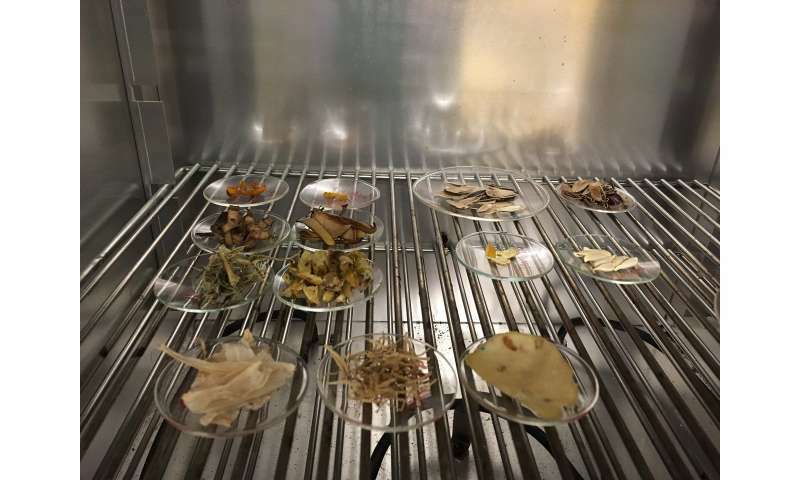 In the kitchen, Samet can envision dried peels being used as a natural, at-home option to remove impurities from drinking water. But Samet's classroom project focused on industrial effluents such as dyes and heavy metal ions. On a large scale, Samet envisions the peels may one day provide an affordable solution in parts of the world with dwindling supplies of clean, safe drinking water.